Queensland-based Pegmont is set to produce 124 million pounds of lead, 50 million pounds of zinc and 298,000 ounces of silver annually. 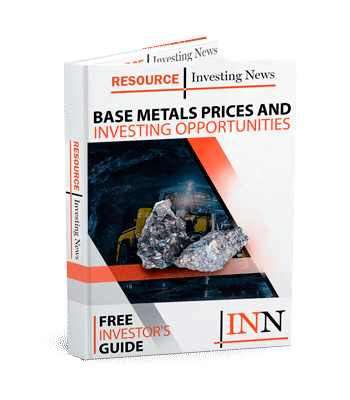 Vendetta Mining (TSXV:VTT) has released a preliminary economic assessment (PEA) for its Pegmont lead-zinc project in Queensland, setting its lifespan at 10 years. The PEA also lays out the project’s financials, including an after-tax net present value of $124 million and an internal rate of return of 24 percent. The after-tax payback period is currently docketed at 3.5 years, with pre-production capital set at $170 million and life-of-mine sustaining capital at $59 million. Pegmont is set to annually produce 124 million pounds of lead, 50 million pounds of zinc and 298,000 ounces of silver; it is also expected to process 3,000 tonnes of material per day. “The results outlined in the PEA demonstrate a robust, stand-alone project. The project has been able to take advantage of Pegmont’s location in the centre of well-developed infrastructure to deliver a pre-start capital that makes this an achievable project to develop for an aspiring junior miner,” Vendetta President and CEO Michael Williams said in a statement. “We are pleased with the strong results of the PEA and intend to now move to add incremental tonnes that can be brought into the mine plan, continue with early permitting work and expand exploration efforts,” he continued in the Monday (January 28) release. The project is situated within 30 kilometers of producing mines run by fellow miners, including BHP (ASX:BHP,NYSE:BHP,LSE:BLT) and Chinova Resources. As such, Vendetta will be able to leverage pre-existing infrastructure like roads, railhead and natural gas for Pegmont. According to the company, Pegmont could see its mine life and/or production rate increase as drilling continues at the project, as there are “significant” mineral resources not included in the PEA. Going forward, Vendetta anticipates further analysis of the project through methods including additional metallurgical test work, a geostatistical review of the mineral resource estimate and the investigation of post primary crusher material sorting. Vendetta’s share price was down 10 percent as of 2:30 p.m. EST on the TSX Venture Exchange on Monday (January 28), resting at C$0.135.